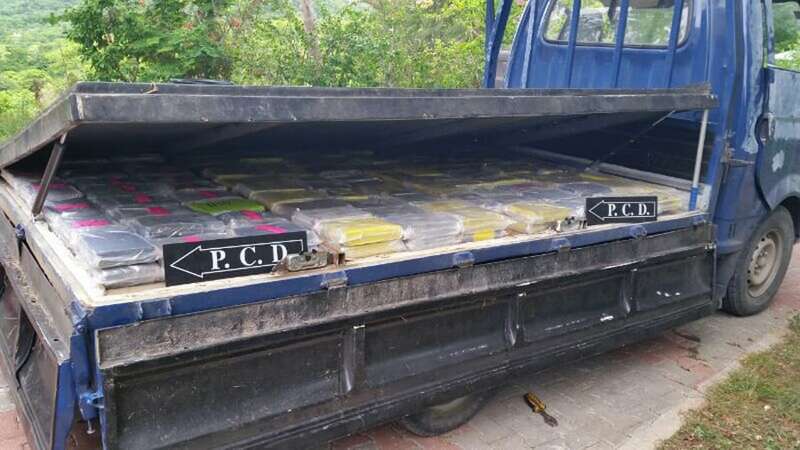 Acting on a tip from the U.S. Drug Enforcement Administration, Costa Rican Drug Control Police (PCD) seized over 700 kilograms of cocaine Thursday and arrested four suspects. Authorities raided two homes in the Carrillo canton of Guanacaste and found at least 710 kilos of cocaine hidden in two vehicles. The PCD also confiscated a shotgun and ₡3 million, about $5,500. Police found U.S. dollars in the second residence but have yet to announce how much. The amount of drugs confiscated could increase. Police found 451 kilos of cocaine in a Mitsubishi and another 212 kilos hidden in a false floor in the bed of a truck. Police had yet to search additional secret chambers in the truck’s container. 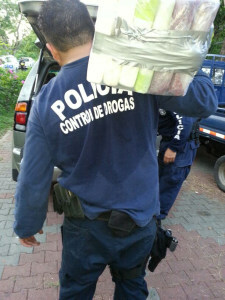 Public Security Minister Celso Gamboa declined to give specifics about the DEA’s role in the seizure. Gamboa said that Costa Rica has seized at least 15 metric tons of cocaine so far this year, in remarks on Thursday. The PCD arrested four suspects – two Costa Ricans and two Colombians – aged 35 to 51. One suspect, a 35-year-old Costa Rican woman with the last names Porras Arce, jumped out of a second story window in an attempt to flee. Police gave chase and apprehended her.